Using the Ouija board (also known as a Spirit board, Talking board, and Witch board) is safe if you do so mindfully and create the right space in which to play. Stay away from places that may have darker energy and instead create a space to play Ouija that has positive spiritual energy. You need to be mindful of the origins of the Ouija board and respect the power it has to open doors to the spirit world. This thought should be your goalpost when selecting the ideal place to use it. 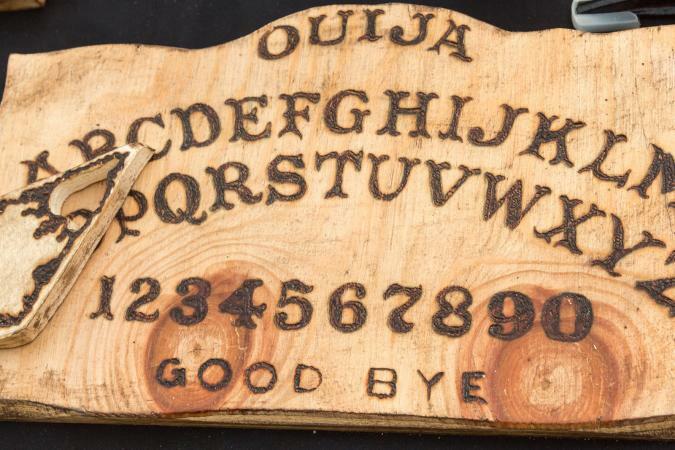 The origins of Ouija date back to ancient China and other ancient cultures across Europe and the Mediterranean. 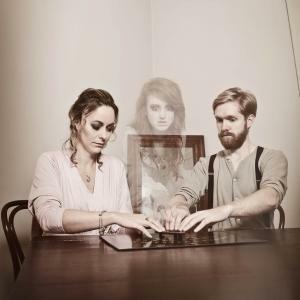 To treat Ouija as a game is an unfortunate Westernization of a practice involving spirit communication. Modern society glosses over the origin of the board as a serious tool that opens the door between the living and the dead. As many people have found to their detriment, opening this particular door in the spirit of fun has led to consequences of a frightening nature. It probably seems like common sense that some places are not ideal to use a Ouija board. For example, you probably don't want to use one where there's been a lot of negative energy present, such as in an old jail or prison. Do not use the Ouija in a graveyard or operating or non-operating church; you are in essence attempting to break a sacred bond through reckless indifference. The world of spirit does not take kindly to this. Do not use the Ouija board at the scene of an accident, mass death or murder. The violence of a death or many deaths leaves an impression on the place. Often, what resides in spirit there is a collective consciousness of anger, fear, and even a desire for revenge. Do not use the Ouija board in a home that has infants or young children, or a place like a park or playground. Common sense and basic ethics say young children should be protected. Play at a blessed and sealed home in the company of a minimum of two people, preferably with three to six people. Play at a blessed and sealed garden, a body of water, or a place of personal happy/good memories, again in the company of two to six people. Choose a time between sunset and midnight to use the Ouija. Do not play between midnight and 3 a.m., also known as the witching or dead hours. Play at a time when everyone participating feels their emotional and physical best. How does one bless and seal a room, a house or an area? The following steps are necessary. Say a prayer of protection against lower spirits and anything of evil intent before you begin. Create a circle outline of salt around you, the board and the other people before saying the prayer. If a house is used, it is good practice to seal all the rooms by going room to room with burning sage, or reciting protective prayers while sprinkling every room, including the basement, attic and outdoor grounds with holy water and salt. Place a sacred object at each of the four corners of the Ouija board. For Christians, this might include a Bible or prayer book and crucifix. For other religions, it might include sage incense and gemstones such as amethyst, rose quartz, and moonstones. Add to your list of requirements a few more that will ensure you have a good experience using the Ouija Board. You can enlist others to help you. Have someone within your party serve as the recorder. He or she can take down messages as they are spelled out, note dates and record any physical manifestations such as sudden breezes felt, knocks and even footsteps heard by the group. The recorder should also be the person to end the session if the spirit contacted seems to be evil, belligerent or angry. Keep questions short and try to draw out as many facts as possible that may be verified as historical fact. Watch out for warning signs such as frequent misspellings, attempts to count down or go backward letter by letter on the board, or attempts to predict the future. These are signs that you may have contacted an elemental or demon. Upon ending the session, say goodbye to the board by placing the planchette over the word goodbye or farewell on the board. While still within the sanctity of the circle, say a prayer of thanks and protection to all and their families who took part in the evening's activities. By treating Ouija with respect and caution, you will certainly obtain a better type of spirit communication. At the most, limit your Ouija playing to once a month, and do not play with the board if you feel that you must, or if you become obsessive and want to play with it every day. Ouija is a tool, and it must be used properly and put away until there is a genuine need or reason to use it again.